No better way to see the Rocky Mountains and the wildflowers in full bloom then on an ATV! We got to cover an incredible amount of terrain and see so much wildlife it was truly amazing. Our teenage kids did great driving the machines and they are easier to operate and we thought they would be. 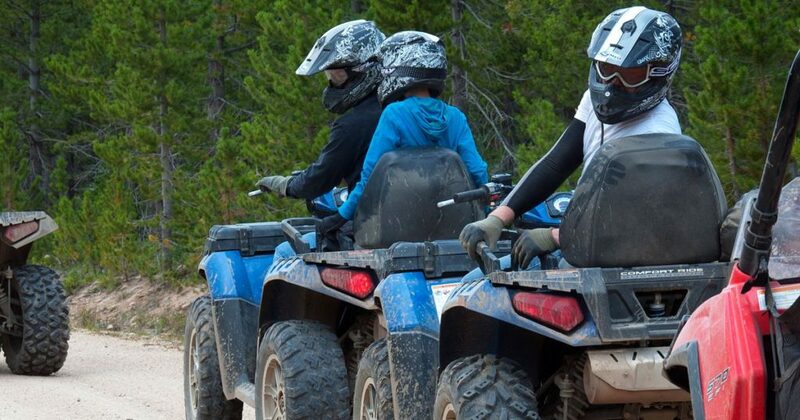 Brand new modern ATV equipment and good instruction made it a fantastic day spent in the Colorado Rocky Mountains. The views seemed as if we were on top of the world. We rode both on trails as well as getting off the beaten path which made the trip more advanced. An special added bonus was getting to a heard of Deer. We never imagined how beautiful Colorado is, and how much fun riding 4-wheelers can be!